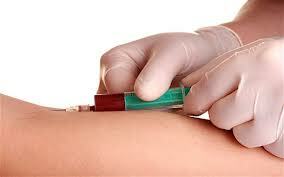 This test is used to determine blood grouping and Rh typing. The possible blood types are: O positive, O negative, A positive, A negative, B positive, B negative, AB positive and AB negative. Type O negative is a universal donor and AB positive is a universal recipient.